Here is another Fall project I did as a class for my students several years ago. You could make one for yourself! Just draw some leaf patterns, or go out in the yard and trace the shapes of some actual leaves on muslin. 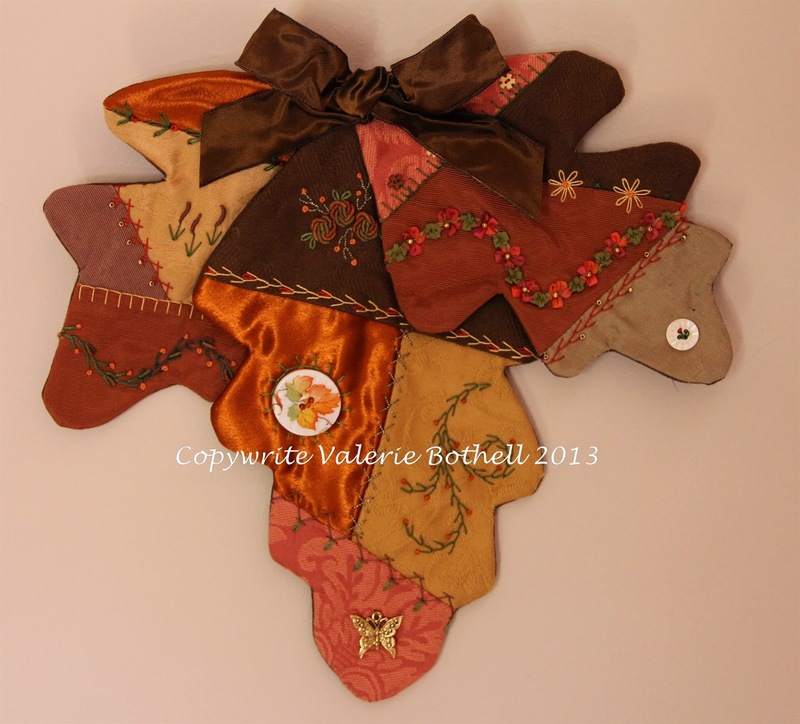 Do some piecing with some great fall colors and embellish to your hearts content! Next week I'll do a post on a project I am working on, but right now it isn't done enough for public viewing!